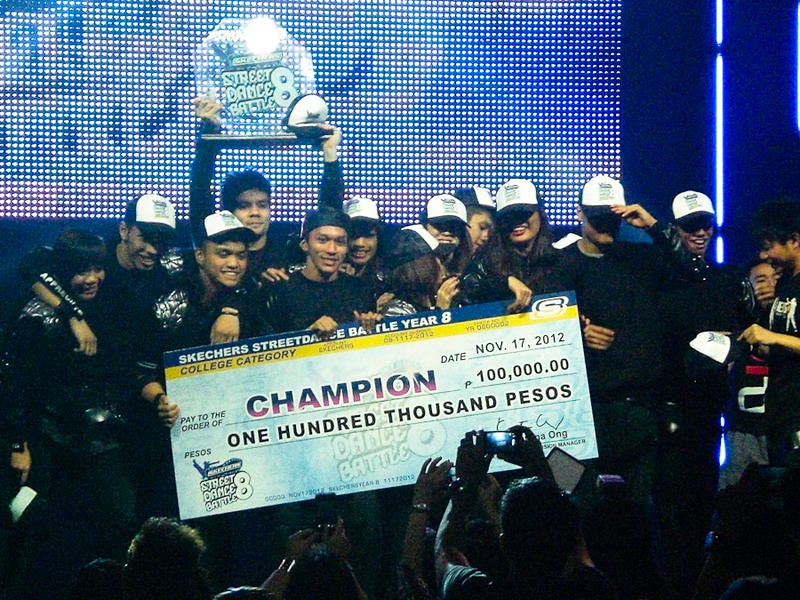 Green Archers dominated the 8th Skechers Street Dance Battle held at the SM Mall of Asia Arena on November 17, 2012. DLSU's La Salle Dance Company-Street (LSDC-Street) hailed as the champion (college level) for the third time, while La Salle Greenhills' Airforce emerged also as champion (high school level) for the second time, after four legs of grueling elimination that started in September, until reaching the final battle. The routines were composed of 4 minutes of different genres of dancing (Krump, Popping, Locking, Isolation, etc.). Both groups received 100K as cash prize plus a trophy. 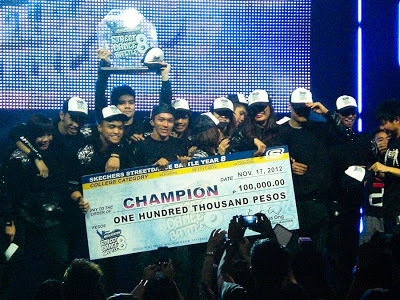 LSDC-Street also placed first in 2011 and 2008, while they clinched the second spot in 2009. 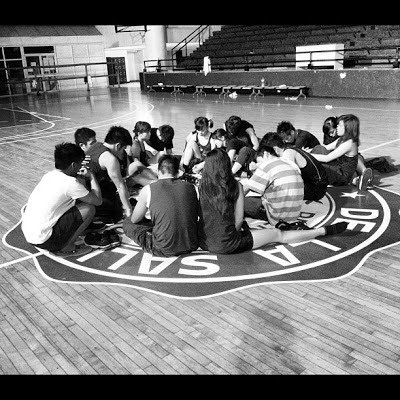 Coach/Trainer for LSDC-Street is Mark Kevin Intal. Airforce also placed first in 2010, second place in 2009, and third place in 2011. The Skechers Street Dance Battle is the country's most prestigious streetdance competition, bringing together a close to 100 high school and college dance crews for a showdown of explosive streetdance supremacy. The show will have its telecast on ETC Channel on December 9 at 9:15pm (high school category) and December 16 at 9:15pm (college category).